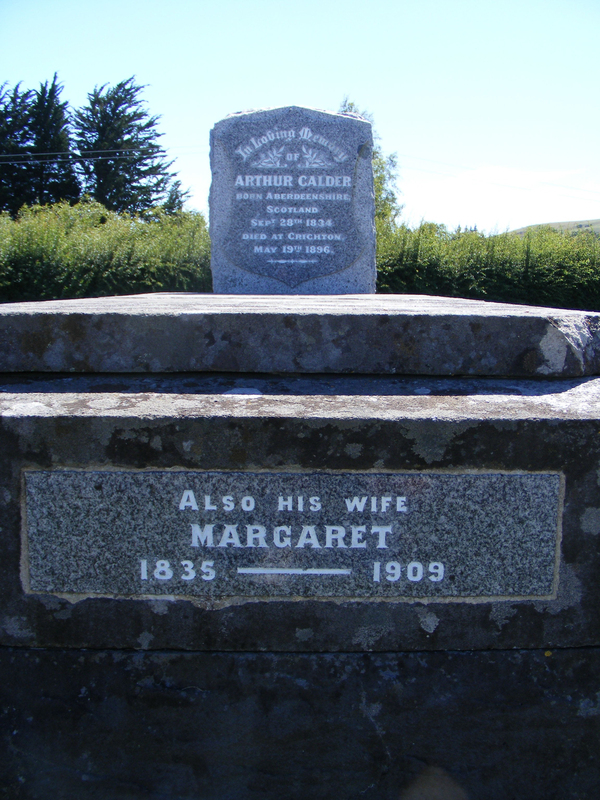 In 1859 at 25 years of age, my great great grandfather, Arthur CALDER (20 Sept 1834 – 19 May 1896) with his young wife Margaret Milne (10 Jun 1839 – 1909) who was only 20, emigrated to New Zealand (N.Z.). They were accompanied by two of Arthur’s younger brothers, William and Alexander from the family farm in Coull, Aberdeenshire, Scotland. A third brother, James came out to N.Z. sometime between 1861 and 1865. Seven years after Arthur, Alexander and William had arrived, their eldest brother John came out in 1866 with their youngest brother George – probably to accompany him and see their other brothers. George stayed in N.Z. but John returned as he was the one expected to take on the lease of the family farm from their father. However, whatever the circumstances, John did not take over the lease of the farm in Scotland as his father had hoped. Their sister Elizabeth (Bessie), the youngest in the family did not come to N.Z. 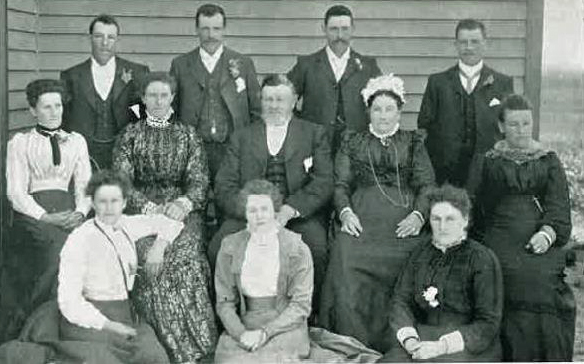 Their parents, William Calder (31 Dec 1802 – 1 Jan 1893) and Anne (nee Forbes) (15 May 1803 – 9 Feb 1891) both died with five of their seven children living in N.Z., having only seen Alexander on a return visit he made in 1864. They had all left Scotland for new lives 12,000 miles away in New Zealand. The three-masted general cargo vessel ‘Alpine’ was a 1664 ton wooden ship that only made one trip down-under, leaving from Glasgow at 4 o'clock on 10 June, 1859. Her destination was Port Chalmers, Dunedin where she berthed on 10 September, 1859. It had been a good trip out as far as the weather went, but it was very crowded with 460 immigrants on board, including 18 cabin passengers. The ship in attempting ‘to get under weigh to proceed from the lower anchorage up to Port Chalmers, grounded on one of the sand banks. She was however, got off by the next tide, and has, we are happy to learn, sustained no injury’ (Otago Witness, September 17, 1859). On arrival in Dunedin, the ship’s master, Captain Crawford, was charged with numerous breaches of The Passengers Act 1855 – sections 22, 25, 26, 29, 35, 3G, 39,43, 62 and 73 , section 25 being on the position and condition of the conveniences! The brothers were listed among the Intermediate and Steerage passengers. At that time, Intermediate and/or Steerage categories were put together on the manifest. There were other Calders on board, but we don’t believe any are related. After the ship berthed at Port Chalmers, the brothers made their way to Dunedin. The population of a few 1,000 were mainly Presbyterian Scottish conservatives with Arcadian values – just like the Calder brothers. 'Arcadian values' refers to the Scottish love of their homeland and their holding onto their traditions with great fervour. They endeavoured to keep their age-old traditions very much alive, living close to nature, uncorrupted by civilization, and virtuous in all their undertakings. In other words, they were farmers who loved their land and had strong Presbyterian values. The Calder boys had little money between them. The family reported that Alexander Calder’s entire wealth was half a crown. Probably Arthur and William would have had a similar amount. Their first job after arriving in Dunedin was to help construct the main street, Princes Street in Dunedin. At the time, this was a clay and bog track, a quagmire of manuka scrub tied in bundles which had been laid cross-wise in the street. If a pedestrian missed the scrub, they could sink up to their knees in mud. The brothers earned half a crown per day for new construction work to improve the road. The foreman of the gang was Robert Donaldson who was a splendid piper. Donaldson marched to and from work at the head of the gang, playing the bagpipes. Once the work on Princes Street came to an end, the brothers worked on other Dunedin roads. Eventually, they managed to save enough money to purchase horses and a wagon to commence work in the Tokomairiro district with their own contracting business. This area is now called Milton and is about 50km south west of Dunedin. Tokomairiro was close to one of the most easily accessible routes to the interior, and was a major staging post for prospectors heading for the goldfields. 'He was a man who placed no value on money, was very learned and a typical miner and pioneer.' (Gabriel’s Gully Jubilee – page 9). He was a gold prospector with mining experience in both the Californian goldfields, and later the Victorian goldfields in the 1850s. Gabriel went to the Victorian goldfields and was dismayed at the lawlessness and violence he saw there, and at the clash between miners and police at Eureka in 1854. He returned to Hobart before 1860. There had been reports of gold discoveries in various parts of N.Z. since around 1851. When Gabriel heard rumours of gold being found in Mataura, Southland, he left Tasmania again and headed across the Tasman, arriving at Port Chalmers on the 'Don Pedro II' on 8 February 1861. Early in 1861, Gabriel was at a political meeting in Dunedin when he met John L. Gillies who told him that, some months previously, he had met a coloured man - Edward Peters, who was known as Black Peter. He was a Hindu who had been finding gold in various areas, including in and around the Tokomairiro district. In his spare time, Black Peter had been panning for gold along the banks of the Tokomairiro River for several years and had done quite well. He was an honest man and had told many people of his gold finds over the years. In 1858, he showed some samples from the Tokomairiro River to the Chief Surveyor, J.T. Thomson. Peters then moved further inland where he was employed on Messrs Davey and Bowler’s sheep station, called Bellamy’s Station, in the Tuapeka district. He continued prospecting all around the area, sinking a shaft in a gully on the north side of the Tuapeka Stream, opposite what later became known as Evan’s Flat, and found gold! After this meeting, Gabriel left Dunedin within two days. On his arrival at Black Gully, he was in no doubt that the area was auriferous – gold country. He met George Munro who took him to vantage point where he had a good view of the valley. Gabriel went immediately down to the valley floor, and after prospecting a few feet into the river bed, he also found gold. Gabriel is quoted as saying that the gold was ‘shining like stars in Orion on a dark frosty night’. Black Valley was later renamed Gabriel’s Gully. This was the ‘payable’ gold field for which Gabriel was recognised by the New Zealand authorities and given £50.00. The Calder Brothers meet Gabriel Read. One day in early 1861, while Arthur and his brothers were out in the Tokomairiro district working with their horses and their contracting business, they met a keen gold prospector with gold prospecting experience - Gabriel Reid. He told the boys that he had found gold and said: 'Come! Let loose the horses! Gold has been discovered!' The Calder boys decided to go with Gabriel Read and others. Firstly, they went immediately to Dunedin and loaded the wagon with provisions for the diggings. Pearl Watts writes in her book that Gabriel came to Alexander Calder with this information but we will never know if it was to Alexander specifically or to all three of the Calder brothers. The Calder brothers' wagon is reputed to be the first wagon to go to Gabriel’s Gully. Pearl Watts also writes that the Calder brothers went back and forth from Gabriel’s Gully to Dunedin, so we conclude that the brothers were dividing their time between prospecting for gold and then earning money on cartage: about £100.00 a ton from Dunedin to Gabriel's Gully at the time. On one occasion, they were held up by some of the many bandits on the road. The outcome is not recorded, but we know that William’s eldest son William had the gun that his father slept with. It took 3 to 4 days to reach Gabriel’s Gully from Dunedin, and there were two main routes used by the prospectors. One was by way of Milton and the Woolshed and was considered the best track. However it was longer than going via West Taieri, over Maungatua, crossing the Waipori River and then following the leading ridge to Gabriel’s Gully. This second route became a dangerous place for those on the return as Garrett and his gang of bandits would stick up those they knew had gold, tying them to a tree while they got away. Prospectors at Gabriel’s Gully often talk about the high prices of supplies. Cartage in the early days started at £95.00 per ton from Dunedin to Gabriel’s Gully but by July 1861 it was £100.00 a ton. Since cartage had to be allowed for, food cost a lot more at Gabriel's Gully than in Dunedin. Flour was £10 a sack, salt went from 10p/lb to 1s/lb, tea varied from 5 to 6s/lb, butter could move from 3s to 3s 6p to 4s, sugar 1s 6p, mutton 1s 6p/lb, tobacco 6s, picks 16s, bucket 1p, shovel 18s, breadwas 3s for 3lb, and 4s or up to 5s for a 4lb loaf. Even the goldfields uniform of moleskin pants, blue shirt, wide-awake hat and boots were considered expensive at Gabriel's, with the moleskin pants costing 15s, the shirt 10s, knee boots £2 - £3. The winter at Gabriel’s Gully was very cold, often snowing, and the only source of firewood was a patch of manuka scrub on the left hand side of the gully. As more prospectors arrived, they had to go further and further afield for fire wood. Consequently, precious wood was used mainly for cooking, and sparingly to keep warm. As time passed by, the miners would have to travel up to two miles or more for dead scrub. It could be a day's work for two men to get enough wood for the next week’s supply. This was often done on a Saturday, with Sunday a day of rest. The Calder Brothers Begin Gold Mining. Family history says that Arthur was 'partially successful', but his brother Alexander was 'very successful' with his own efforts at the gold diggings. Within 3 years, Alexander was able to return to Scotland. He took some gold with him and had rings made for his mother and sister/s. Pearl Watts states that Alexander had rings made for his mother and ‘sisters’ – but as of 2019, we only know of the one sister – Elisabeth (Bessie). This could be just an editorial error and should have been ‘sister’. There does not appear to be any information on William’s success or otherwise. In his obituary, he states that after the rush, he went to Southland where he took up land at Thornbury, as well as undertaking a considerable amount of carting from Riverton to the Lake at £100 a ton. Alexander Calder, his wife Ann and their family. In first few days of July, it was estimated that there were 150 prospectors at Gabriel’s Gully, and by the end of that week, there were about 300. Another hundred arrived by the end of August. By September, an invasion from the Victorian Goldfield had begun and in one day, James Smith of Tokomairiro counted over 1,100 miners with their swags passing by. One month later, as many as 10,000 had left Melbourne, bound for Otago, and every yard of the stream bed at Gabriel’s Gully was being worked. By the end of September, there was no room for any new claim, with new arrivals only getting a spot if someone left. 'The Gully was studded with tents from one end to the other, and the surface, verdant with fine grass two months ago, was now gutted and ransacked in an extraordinary manner. Fully 3,000 people must have been at work in this gully, and numerous parties were seen spread out over the adjacent gullies and even hills. Altogether, there cannot be less than 6,000 people on the diggings.' With these crowded conditions and no infrastructure, it is not surprising that many of the miners died of dysentery. 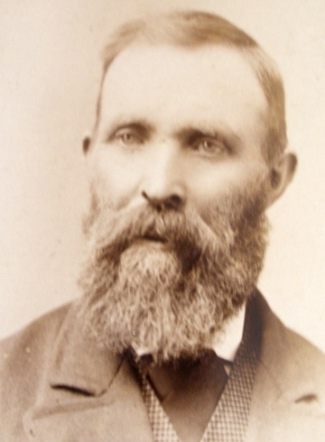 Quite a number of the early prospectors were lucky enough to receive help from Gabriel Read who gave freely of his time and experience, helping newly arrived miners to select suitable ground and showing them the best methods to work their claim. A claim was staked out by pegs with 24 feet square per man or 48 feet square for 4 men. Early arrivals had more choice for their claim, whereas those that arrived later had to work around the existing claims. The lower and middle parts of the gully were taken up first; further up the stream was not so sought after because the ground was deeper, thus needing more digging. The Calder Brothers Leave The Goldfield. Alexander then made a trip back to Scotland to see his parents – and while there, he found a wife in Crail, Scotland. She came to New Zealand with Alexander when he returned to NZ. In that same year of 1865, after Alexander left for Scotland, Arthur was appointed manager of the Clydevale estate where he also kept a store. Afterwards, Arthur was manager for Mr Corson of the Meadowbank property, leaving there to manage the Hon. J. Paterson’s Crichton estate at Lovell’s Flat. In May 1871, Arthur took out Lease 11, ‘Burleigh Farm’ at Lovell’s Flat, from Frederic Twiss. He occupied this property for the next 24 years. In the 1874 Electoral Roll, Arthur held freehold and leasehold land at Lovell’s Flat and freehold land in Dunedin. The lease for’ Burleigh Farm’ was renegotiated on 15 May, 1885 and again on 20 May, 1890. In April 1895, Arthur sold all his sheep, horses, cattle, farm implements and sundries as his lease had expired. The land was sold by auction on the ground near Lovells Flat Railway Station. A year later in May, 1896, after returning from a stock sale at Milton, Arthur came home with a chill. Within the week, the chill had turned into pneumonia. The following week, he had an apoplectic fit and died. He was aged only 62 years and was buried at Milton, to the east of Lovell’s Flat. During his lifetime, Arthur Calder was active in the community, having served on the Committee for Lovell’s Flat School for 13 years and was Chairman in 1885 and again in 1888. He was also a member of the Crichton Road Board for many years, and for 15 years, was a member of the Bruce County Council for Crichton Riding. He was Treasurer for the Lovell’s Flat Church and ordained as a deacon for this church on 9 July, 1871. He was always a man who loved his land and had strong Presbyterian values throughout his life. By September 1861, many of the first diggers were leaving Gabriel’s Gully, being satisfied with what they had made and returned to their former lives, many now with a little capital. The gold-fever stampede to Gabriel’s Gully quickly moved to the nearby valleys of Monroe’s Gully and Wetherstones then to Waitahuna, Woolshed, Waipori, Evan’s Flat and Paddy’s Point. The Dunstan, Arrowtown and Cardrona also attracted waves of prospectors, before gold was found on the West Coast of N.Z. N.Z. was now on the world map, and it changed this once dormant farming area to one of new towns and cities, roads, railways and schools. Gabriel Read remained in Otago for a few years. After mining at Gabriel’s Gully, he went to the Dunstan and Wakatipu fields. Later, he discovered the Waitahuna Field. He then prospected the Waipori, Pomahaka and Mataura districts on behalf of the Otago Provincial Council. He prospecting the rivers of the Wairarapa but with no success. 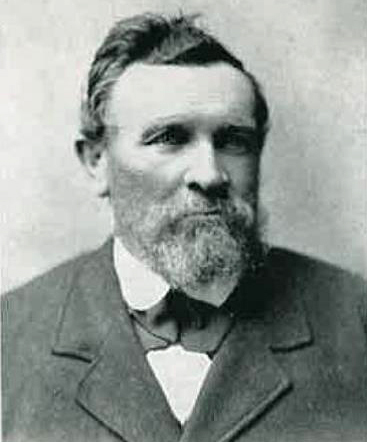 Gabriel returned to Tasmania in 1864 where he took up farming. 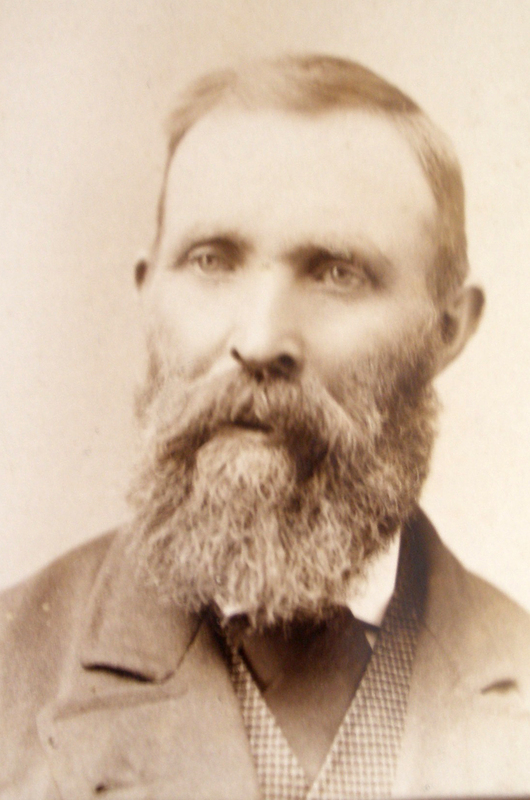 In 1865, he married his cousin Amelia Mitchell (nee Wilson), widow of the Rev James Mitchell of Hamilton, Tasmania. They had no children. Gabriel died in 1894, leaving his wife Amelia with £96. Thanks to Gabriel, my ancestor, Arthur Calder and his brothers found enough gold to give them a start, and enabled them to have a comfortable family life where their children could go to school and prosper. Arthur Calder's grave at Milton. Read, Thomas Gabriel: Biography. Te Ara, The Encyclopedia of New Zealand. Gabriel's Gully. New Zealand History. PapersPast Clutha Leader. Volume XX11, Issue 1136, 29 Mary 1896. Obituary: Arthur Calder. Held at The University of Waikato Library. Arthur Calder – collection of the author, from Stuart Ward Calder. Arthur Calder's grave at Milton - Calder Family Collection. Rouska Wong - Inter Library Loans Officer at Warringah Library who obtained a copy of 'Gabriel’s Gully Jubilee : Reminiscence of the Early Gold Mining Days. ', supplied as an Inter Library Loan request by the University of Waikato Library. Helen Manfield: Audio Visual Officer - LS Mona Vale, NSW. Ali Clarke – Hocken Collections Assistant (Archives). The Hocken Collections. Anna Petersen. Curator Of Photographs, Hocken Pictorial Collections. Malcolm Deans, Senior Library Assistant, Heritage Collections, Dunedin Public Library. Malcolm was able to provide a copy of Pearl Watt's – Sons of the Soil. Kae Lewis for all your assistance with sourcing of relevant publications. Kerry Gosling and David Wallace for your support and providing extra information on the Calder family which I did not have. Deni Sadleir for editing and advice on writing the article.